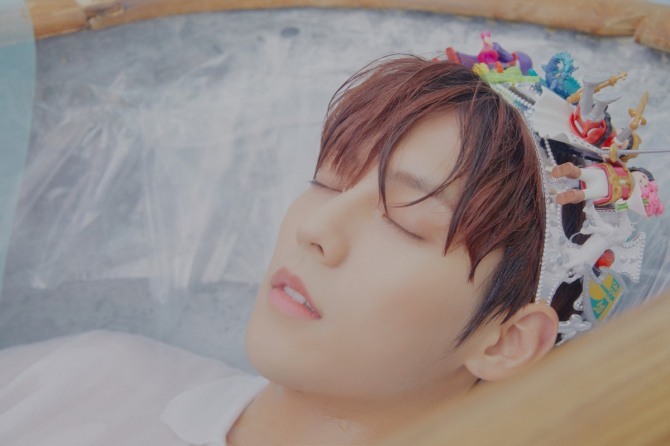 After debuting as a member of boy band BTOB seven years ago, Minhyuk is releasing his solo debut album “Hutazone” Tuesday. The singer’s new album saw him heavily take part in the making of 11 tracks in genres ranging from future bass, hip-hop and R&B, all the way through to disco, writing the lyrics and melodies as well as helping produce. His album comes just weeks before the singer will be enlisted in the military to serve as a conscripted policeman in February. 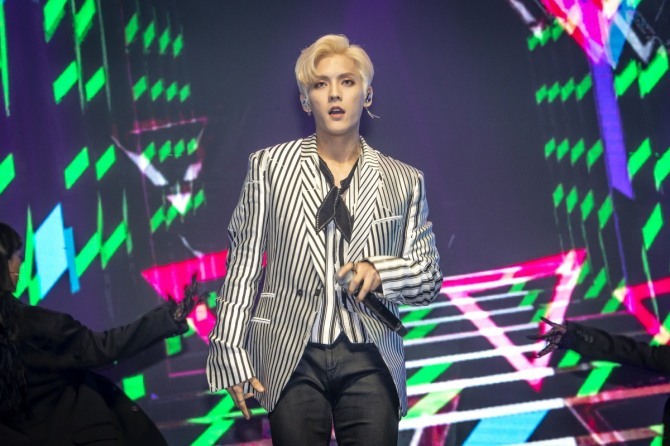 Though he released the self-produced single “Purple Rain” as part of his group BTOB’s project in the past, “Hutazone” marks his first studio album. As “Huta” refers to the great amount of practice that goes into being a good baseball player, Lee said he wanted to create a “world of his own” with the new album, which he worked hard on. “It was hard at times due to my busy schedule, what with recording albums as BTOB, but I worked hard to create an album I can be satisfied with,” he said. The track sees the singer discuss being true to himself as well as being happy with someone he cherishes through the lyrics. Lee also collaborated with (G)I-DLE’s Soyeon on the upbeat dance track “You Too? Me Too!” which was the first time he worked with a female rapper. He will begin his mandatory military service in February, following the footsteps of fellow bandmate Lee Chang-sub, who also released his own solo album in December. “I was just happy and thankful to have been given this opportunity and want to just have fun before I go,” he said. 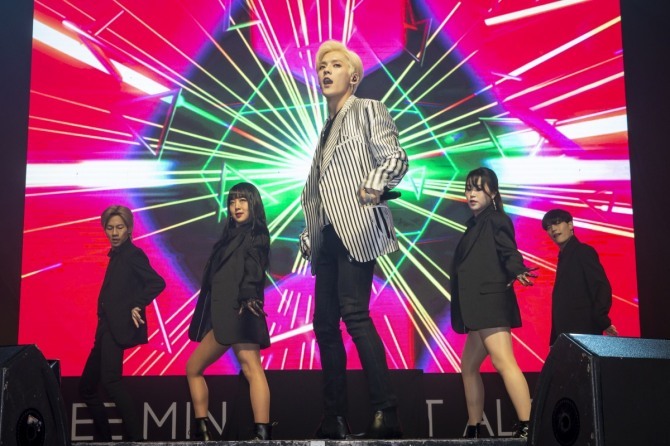 The musical “Jekyll & Hyde” has been the motive behind the artistic video for “Ya” which sees the singer fight his unavoidable instinct that awakens within him while featuring powerful dance performances and dynamic visuals. The video also gives a glimpse into what is in store for his two-day concert in February. “I want to show different sides of me including conflicting images, just like Jekyll & Hyde,” he said of the upcoming concert.